I cosigned a student loan for my daughter with American Education Services, and she thought it was deferred until she graduated. Which just happened last year fall semester. I have been getting calls from MRS Associates saying the original creditor won’t deal with her or myself and it HAS to be handled by him. He is demanding a full payment of $22,000+ and there is no way that this is gonna happen. First, I don’t believe in sending money to people who claim to be owed it with no written verification. I have been scammed too many times. Second, I don’t have any kind of money to repay that amount. My daughter has a new job working at a hospital now, and can make monthly or even weekly payments. This guy, Kevin Hendricks, is claiming that I have only the one option of full repayment or they will take legal action against me. How do I handle this debt collector hired by American Educational Services? Is this guy for real? Andrew Weber is a Certified Student Loan Counselor and Certified Credit Counselor through the N.A.C.C.C., and has been helping borrowers with a variety of federal and private student loan issues since 2012. A negotiator since 2009, he has negotiated settlements on unsecured debts, including many private student loans, in excess of 7 figures and climbing. I have a question not sure if you can help I live In PA I am co signer on my daughters student loan (2008) she has 2 half payments taken out automatically every month which aes set up. Payments are always taken out by aes before the 20th of every month. I get a phone call every month three to four times in the month. Is there any way to stop these calls? they are receiving payments that they set up. I am just getting very angry with them. I would talk to AES and get the calls to stop. If you have already asked them to do that I would file a debt collection complaint with the CFPB against AES and that should get your issue in front of the right person at AES to make the correction. Watch this video about why filing a complaint with the CFPB can produce the needed result. Hello- I have been paying on my loan for 10 years now monthly. It is still out of control. In the beginning they illegally added 18% ($11,300.00) to my principal amount. This was after completing all of their paperwork and multiple calls to get a hardship deferment. Once I had a job I started paying. In addition AES has charged me interest even when deployed to hostile fire zones with a deferment. I am looking for legal consul and would like to settle. I have spoken with Ombudsman, and AES they are sending me a write up of all the financials. Do you have a next step suggestion. FYI, the military has also made big payments on my behalf yet the mount owed is still staggering due top their terrible policies. Thank you for any assistance. Call in to 800-939-8357 and press 4 for student loan help Jeffrey. Andrew will be able to help you get a bead on your settlement scenarios. Please post an update with what the student loan Ombudsman is able to help you with. That is good information for people wondering whether they should contact that office. Hi Jeffrey, this sounds like a federal loan. If that’s the case, I wouldn’t be able to help – federal loans rarely settle for much of a reduction. The fees that were added sound like the default collection fee added to federal loans when they go into default. As far as I’m aware, it is legal for them to do that, although it’s a a very problematic practice. Your main options with federal loans are to apply for different payment plans related to your income. Some of these payment plans also have limits on the amount of interest that can accrue. I don’t provide federal loan counseling, but I can refer you to a third party nonprofit that does. However, all federal repayment plans are free to apply for at studentloans.gov. 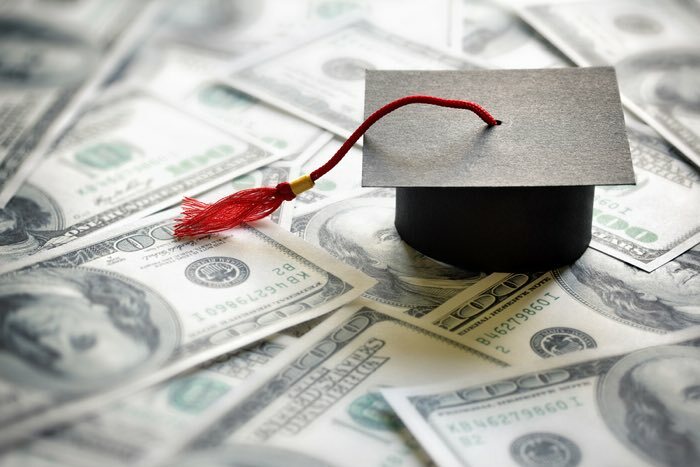 If your school declared bankruptcy, you may also want to try the Defense To Repayment process, but you may need a knowledgeable student loan attorney in your state to assist with that. Hi Jeffrey, I would also add that charging interest on a deferment while you’re on active duty could be a violation of the Service Members Civil Relief Act. You may want to talk to an attorney who is experieced in those areas. There are several websites if you google the Act that have directories of different attorneys that can help. Call in and connect with Andrew to go over the details Joshua. You can reach him at 800-939-8357 ext 4. Hi Joshua, AES is a servicer and private lenders won’t settle when accounts are current (AES only services current loans). Do you know who the actual lender is, and if these are private student loans? I have tried for 4 months to try to negotiate a settlement with AES, I believe Citizens Bank backed the loan. I was first told the loan was only defaulted a month and I should wait for a few more months if I wanted to negotiate. It is my sisters loan…who I could care less about but she somehow got my mom to cosign the loan and my mom has had cancer and went through chemo and radiation. She survived but doesn’t have all her mind back and doesn’t even remember cosigning the loan…I don’t even know if she actually did. However, my mom wouldn’t press charges even if she signed my mom’s name so no use going there. Now the loan is defaulted 169 days at 5% and I sent a fax in asking for negotiation and was refused. My dad just died and my mom has half her income and I have a power of attorney to help her make decisions. How the heck do I get them to negotiate so I can use my disability savings to get rid of this. My mom doesn’t need this mess and I just can’t stand how they treat people. Call in for a consult with a student loan counselor Sheryl. You can reach us at 800-939-8357, ext 4. You will be able to better determine what you are up against after speaking with Andrew. Hi Sheryl, the loan is delinquent but not yet defaulted – that occurs at 180 days past due. Citizens Bank may continue to be difficult to negotiate with after the default occurs, especially if it’s your first time trying to negotiate a settlement. Feel free to call the hotline Michael mentioned if you’d like to go over your situation further. It can be less stressful to hire a professional instead of attempting private loan negotiation on your own, and in many cases, I’ve been able to negotiate a better deal than what my clients have been able to get on their own. I am facing a slightly different situation but problems with most of the same players. My cosigner on a private loan filed Chapter 13 bankruptcy without telling me in Nov 2011. This loan originated 7/2007 with KeyBank, I graduated May 2011, accrued interest capitalized Oct 2011, and my first payment was due to servicer AES and made Dec 2011. The loan was transferred to a Guarantor 1/3/2012. Sometime between 7/2007 and 7/2012 the loan was transferred by KeyBank to National Collegiate Trust (NCT). I am still researching when this occurred. I was tipped off to the problem with the account when I pulled my 10/15/2012 Experian credit report. Then it was listed under “Potentially Negative Items or Items for further review” under American Education Services with Status “Claim filed with government/Never late” Status details said “Scheduled to continue on record until Dec 2018” Date of Status 01/2012 and Creditor’s Statement “transferred to recovery”. Payment histories are all “OK” from 08/2007 through 12/2011 and change to “G” for 01/2012 (nothing after). The balance history on both accounts (a second AES/Keybank loan originated 2/08 and is still in good standing) show that I was making the full payment for both accounts starting 12/5/2011 through 11/5/2012, with ONLY the Dec 2011 payment being applied correctly to both loan accounts. All consolidated payments from Jan 2012 through Nov 2012 were applied (as overpayment) to my remaining AES/Keybank-02-08 loan. At this point because of the Chapter 13 status, I was unable to view any accounts online and did not receive statements to verify how payments were applied. I was not behind on any payments. All loans were current and payments made on time and in full. A single consolidated payment should have been applied to the 2 loan accounts serviced by AES. I spoke with AES in Jan 2016 before the cosigner’s bankruptcy case completed and requested that they consider reversing the chargeoff. They responded by saying they were only the servicer and not the lender so they could not change any decisions. AES said when the bankruptcy was filed it gave the lenders the option and this lender “chose to allow the account to go into default.”. I don’t see how AES can take a payment and apply it to another loan, nor how the lender can charge off the account without giving me notice. What options do I have to return this loan to good standing and get my otherwise flawless credit back to where it should be? Is there a possibility the lender could call it back from the collection agency (AES gave me the name “TSI” TransWorld Solutions), reverse the payments and reapply the payments to this one? Hi Jason, your loans do sound like they are private except for one thing you mentioned – “government claim” as a notation on your credit report. That is a notation that only occurs with defaulted federal loans. Is it possible that you have both federal and private loans that were serviced by the same servicer? To get some clarity, I would recommend logging into the student loan database at http://www.nslds.ed.gov and see if anything shows up. Only federal loans would show up there. You will need to create an FSA ID to log into the NSLDS database, if you don’t already have one (you can do that on the same site). The rest of your description sounds like a “textbook” description of a defaulted NCT private loan, but that “government claim” notation has got me puzzled, if it’s associated with the same cosigned loan. In my experience, a cosigner entering a private loan into bankruptcy will absolutely affect the original borrower – it has the same effect as if the original borrower declared bankruptcy. It sounds like your cosigners’ attorney may not be very well versed in private student loans.. not many of them are. Unfortunately, I have heard of other problems with private loans being entered into bankruptcy by BK attorneys who did not fully understand the underlying issues that are specific to private student loans. AES is correct that they are just the servicer, and are mainly a glorified payment processor for private student lenders. It sounds like NCT owns the loans now and bought them from Keybank. The National Collegiate Trust is just that – a trust fund. They are owned by a company called “Turnstile Capital Management”, which is owned by “Goal Structured Solutions”. Good thing that’s not confusing at all, right? To make matters worse, NCT doesn’t have even their own website for borrowers trying to contact them or get more info, and it takes a little research to figure out that they are actually a trust fund owned by TCM and GSS. You would probably have to call TCM or GSS to try to get them to reverse the charge off on the NCT account. However, it is a common practice for private lenders to auto-default loans when they are entered in bankruptcy, so it may not be something that is reversible. And TCM/GSS/NCT is one of the most ruthless private loan holders in the entire industry and are not known for being helpful with borrower issues. I think it would be extremely difficult to have the lender undo what has already been done and reapply the payments while reversing the default. You might possibly be able to get it fixed by filing a complaint with the CFPB, but it is a very long shot. I’ve found it much easier to work with the options at hand going forward, rather than trying to get a lender to go back and fix previous events that have happened on the account. From their perspective, they auto-defaulted an account because it was entered into bankruptcy, so they will claim that they’ve done nothing wrong. It’s a brutal tactic, even more so because you did not know that the loans were entered into BK, but it is a legal tactic and is pretty widespread in the private student loan industry. The silver lining here is that you may be able to settle the account for 50-60% of the balance. The fastest way to fix the issue may just be to do that, get a major reduction, and begin the process of healing your credit by having the charge-off notation updated to show a “paid for less than the full balance” notation. Settlement will also greatly improve your Debt to Income and Debt to Credit Ratios. NCT and Transworld are very difficult to negotiate with, but I have been able to regularly get settlements at 50% of the current balance after months of negotiating on defaulted accounts. In my previous negotiations with Transworld, I’ve talked to at least 10 different agents there and have also negotiated settlements with their director of operations. These types of contacts are an advantage professional negotiators have over someone trying it on their own for the first time; in addition to past experience and knowledge of the lenders’ collection cycle. There are a lot of pitfalls to avoid, and it’s also just as much of a task to properly execute a settlement as it is to negotiate the dollar amount. 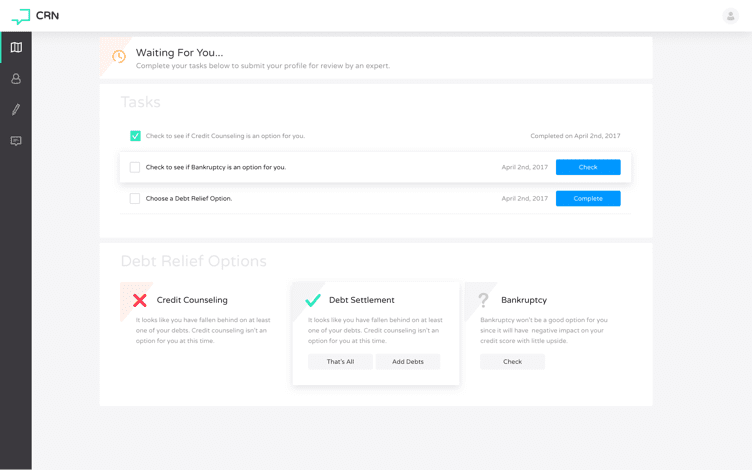 You will probably want to get started on this sooner than later, regardless of whether you hire a professional debt negotiator or attempt to do it on your own. NCT is known to sue within 12 months of a default occurring, and there’s a limited window to negotiate a good settlement. They will hardball for months at first, and it’s an incremental process as far as negotiation success. If they do try to take you to court, a knowledgeable attorney (who has experience dealing with private loans and NCT in particular) may also be able to negotiate a settlement or even have the lawsuit dismissed due to lack of standing. This has been a problem for NCT since they have not always been able to provide full documentation of the accounts they own, since they largely buy their private loan portfolios from other lenders and don’t originate loans by themselves. It may be easier to settle before legal action instead of getting into a prolonged battle and hiring a private loan attorney, and if you’d like to take that route, feel free to call the CRN Debt Relief Hotline at 800-939-8357 and press option 4 to be connected to me for a free consultation. If you’re going to try to dispute it and work backwards through the account history, you’re going to be in for quite an uphill battle, but a CFPB complaint is probably the only shot at getting something like that fixed.. since the lender will claim they did not make an error and treated the account like all other accounts that are entered into BK (even though you were not informed of this by the cosigner). I’d also recommend checking the NSLDS as a precaution, since it really doesn’t make sense to me why a “government claim” notation would be showing on a defaulted private loan – unless it was a credit reporting error. A defaulted private loan should show that it’s “charged off” on the credit report. To clarify my comment about NCT pursuing legal action within one year of default – in my experience, for accounts coming out of bankruptcy this would be within one year that the account is out of bankruptcy, if it was auto-defaulted. The “automatic stay” provision protects against any legal action while the accounts are still entered in the bankruptcy.